TORONTO (Reuters) -- A Canadian law firm said it filed a lawsuit against Fiat Chrysler Automobiles on Wednesday seeking $4 billion in damages, in connection with the massive recall announced by the automaker earlier in July. Merchant Law Group said the lawsuit, which seeks class action status, was filed in the Superior Court in Montreal. It said it plans to file claims later this week in courts in Ontario, British Columbia, Saskatchewan and Nova Scotia. A Fiat Chrysler spokeswoman said the company has not yet been served with the lawsuit and that it would be inappropriate to comment until it had studied the allegations in the suit. The company said on Friday it would recall 1.4 million vehicles in the United States to install software to prevent hackers from gaining remote control of their engines. 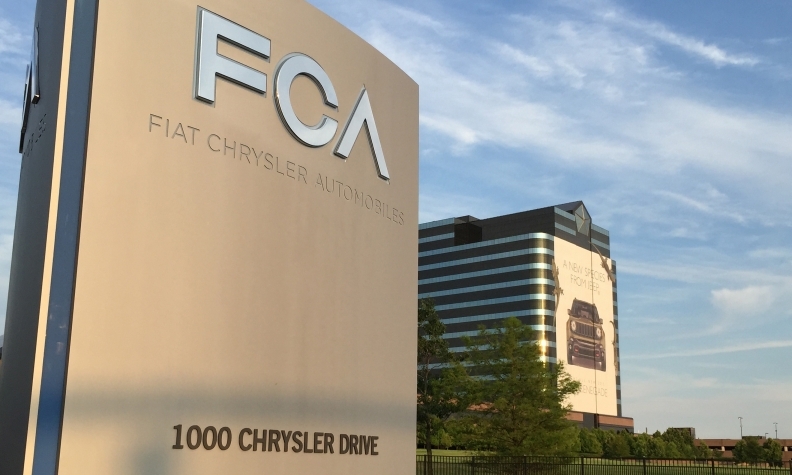 The U.S. National Highway Traffic Safety Administration slapped a record $105 million fine on Fiat Chrysler this week for lapses in safety recalls involving millions of vehicles. Canadian Transport Minister Lisa Raitt told the CBC earlier this week that she had been blindsided by Fiat Chrysler's U.S. recall and added that her department was looking into the matter. FCA spokeswoman LouAnn Gosselin said most, if not all, the remedies being pushed out in relation to the U.S. recalls are now available to FCA vehicle owners in Canada too. She said the company is advising vehicle owners to schedule appointments with their dealers for servicing to fix problems. "FCA Canada is reviewing the contents of the NHTSA consent order to determine what may potentially apply to Canada. We are working closely with Transport Canada," said Gosselin. She added that the U.S. recall of 1.4 million vehicles because of a software vulnerability that can allow hackers to remotely gain control of a vehicle is not applicable in Canada, as its vehicles in Canada are not cellular enabled in the same manner as some of its U.S. vehicles.